The 2019 year is already off to an exciting start for honeybeeBase as the web-based employee management solution has earned 2019 Rising Star Award and 2019 Premium Usability Award from FinanceOnline, a popular B2B software review platform. 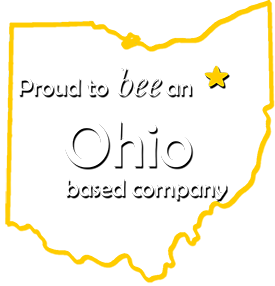 These awards also come with honeybeeBase being recognized as one of FinanceOnlines's Top 50 employee scheduling software products. Being a business owner means dealing with a very diverse staff. Some very tech-savvy, some……not so much. honeybeeBase offers a very intuitive and straightforward interface to accommodate every level of employee. honeybeeBase complete employee management solution, allows managers to eliminate the endless paper trails that become commonplace. With web-based time cards, schedules, vacation requests, communication and more, you’ll never have to clean that stack of papers off your desk again. Shift swapping is a common need for any staff when life comes at them unexpectedly. The honeybeeBase shift allows employees to post a shift to the marketplace for their colleagues to claim. Managers can also be informed of the shift swap and approve it, all from their computer or phone. We are always happy to improve our system based on our customer feedback and these rewards prove that we're continuing to build the best all in one solution because of that customer feedback. Please visit FinanceOnline.com to post your own review of honeybeebase, and we look forward to your support as we continue to release even more functionality in 2019!